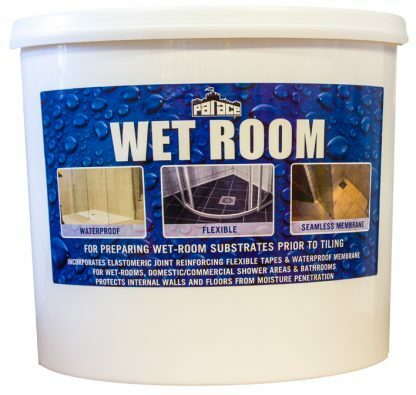 PALACE WET-ROOM is a combined waterproof membrane system designed to protect tiled areas in locations such as wet-rooms, showers, bathrooms, and kitchen utility areas. PALACE WET-ROOM will inhibit the passage of moisture from within the tiled area, into substrates such as plaster, render, plasterboard, tile backer boards, timber, suspended floors concrete floors and plywood overlays. 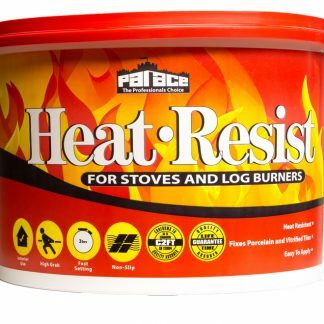 Built in Flexibility accommodates movement & vibration. Solvent free, easily applied liquid membrane. 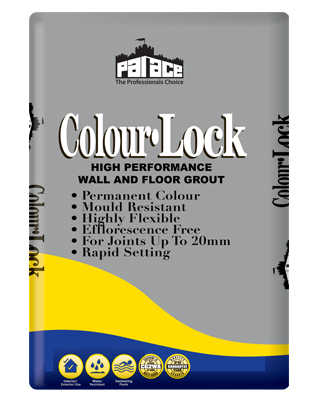 Compatible with most surfaces and substrates. 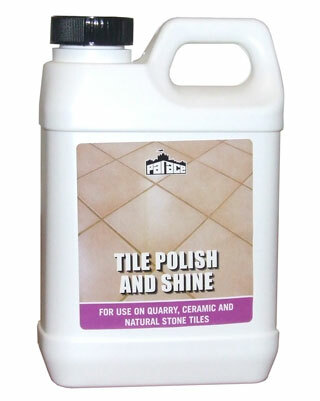 Provides ideal base for wall & floor tile fixing. 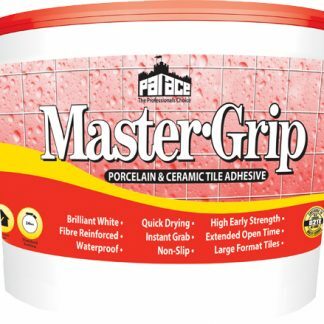 Polyester reinforced tape provides crack-bridging protection for all wall & floor joints.